Well, Marvel has you covered. In a preview released for Poe Dameron #26, courtesy of 13th Dimension, we all get a taste of the friendship that we’ve been waiting for. 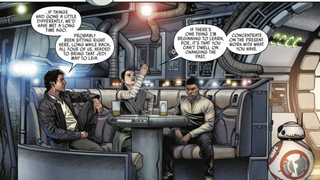 In this snippet, courtesy of Charles Soule, Angel Unzueta, and Arif Prianto, Rey, Finn, and Poe do what we’ve been waiting for them to do for two movies now. They sit down and talk. 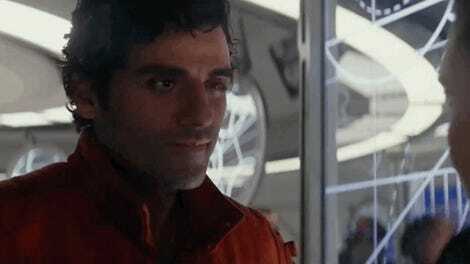 The comic, which also promises to reveal how exactly Poe got off Jakku, comes out next week. I’ll share the first couple pages of the preview below, and you can click through to 13th Dimension for the rest.